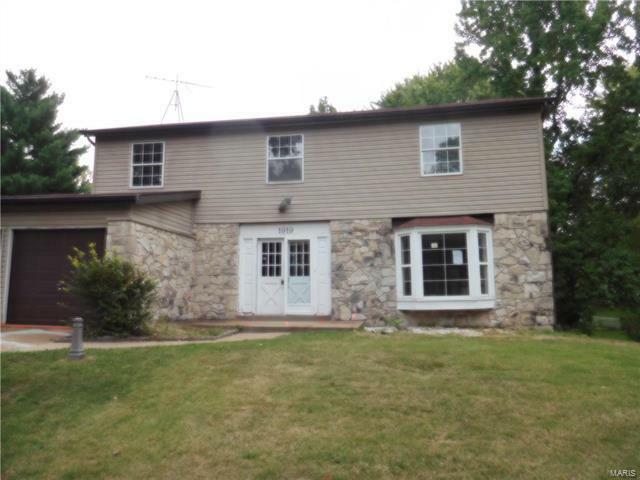 Great opportunity to own a spacious 4 bedroom, 2.5 bath, 2 car garage 2 story home. This home has a lot of potential and is just waiting for your personal touch. HUD acquired property. Please refer to HUD website for the most recent bidding period details and information. Property being sold AS IS. All utilities are turned OFF. Please use discretion when showing and bring a flashlight. Case # 292-567404. FOR UTILITY TURN ON, APPROVAL MUST BE GRANTED IN ADVANCE FROM HUD’S FIELD SERVICE MANAGER. IN CASES WHERE PLUMBING DEFICIENCIES EXIST, APPROVAL FOR WATER TURN-ON MAY BE DENIED. 367N to Right on New Jamestown Rd. to Left on Lusher Rd. to Right on Arrowpoint to Left on street.